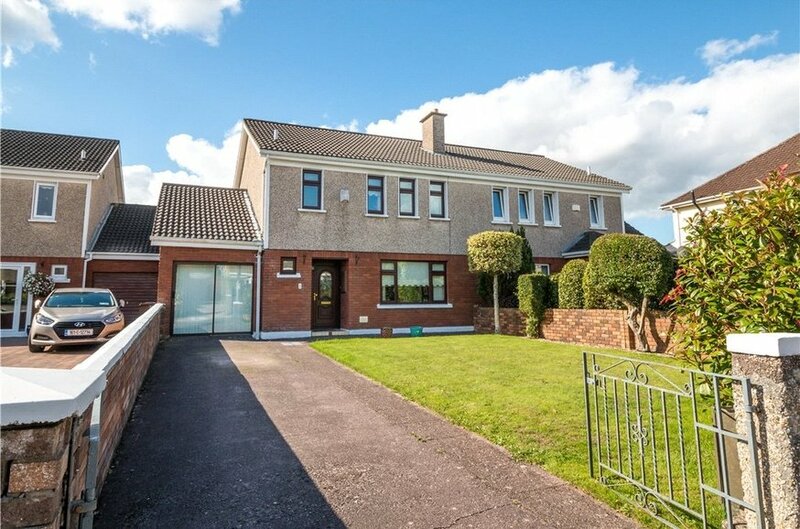 the nearby selection of quality primary and post primary schools makes the property an ideal family home. Originally constructed in the mid 80’s this home is in turn key condition throughout, no. 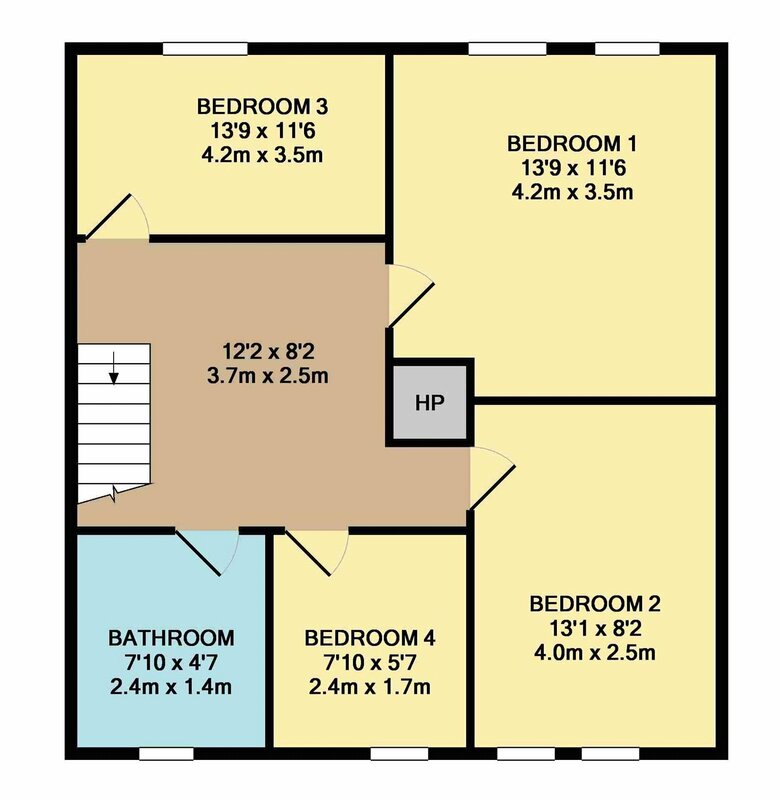 2 extends to approximately 133sqm (1,431 sqft) and offers its accommodation over two levels. 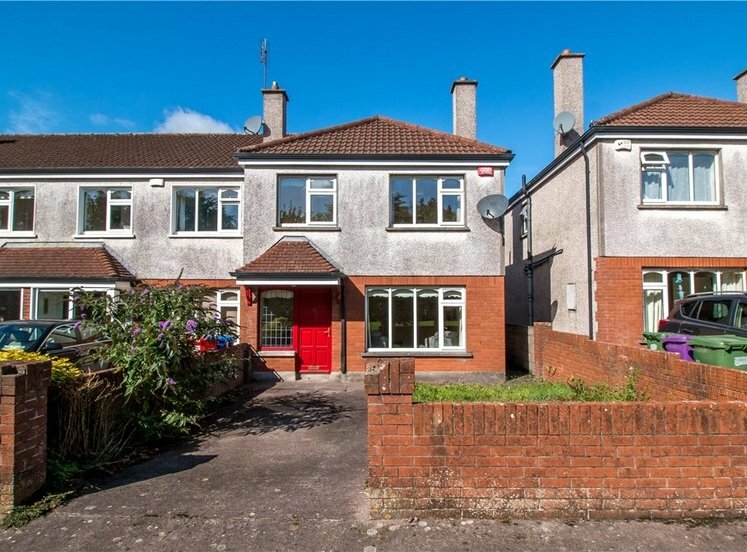 The property is set on manicured gardens to front and rear and a driveway offers off street parking. The rear garden should prove particularly attractive due to its westerly aspect, maximising afternoon sun. 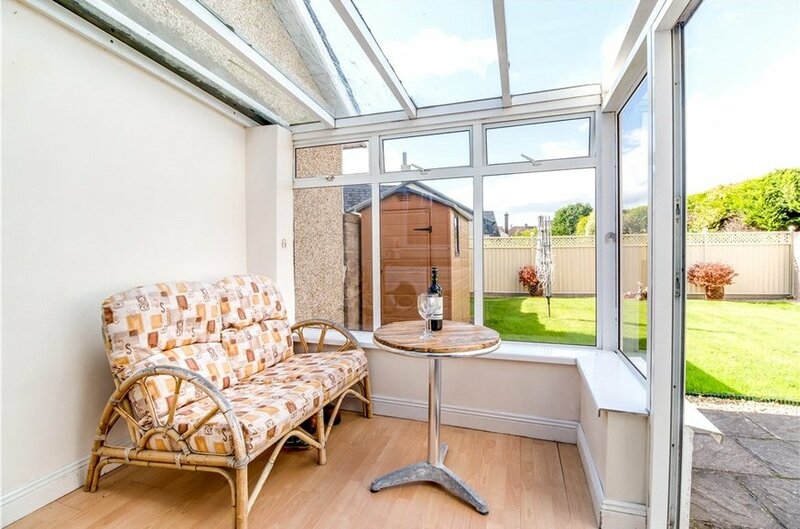 Double doors in both the dining room and lounge provide access to the garden / patio and plenty of natural light ensuring the living space is bright and airy. 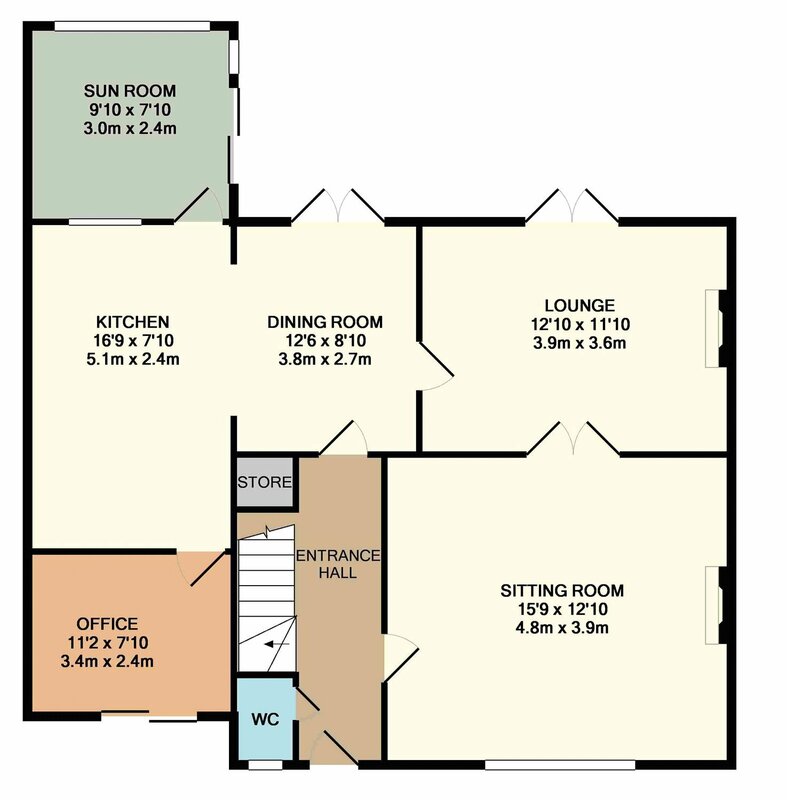 Accommodation in brief extends to, entrance hall, sitting room, lounge, kitchen/dining room, sunroom, office and guest w.c. all at ground floor level. The first floor is home to 4 bedrooms and family bathroom. 2 Brookdales new owners will acquire a property that offers a superb mix of quality location, immaculate condition and generous living space that is ready for immediate occupation. Viewing is highly recommended to appreciate all that is on offer. 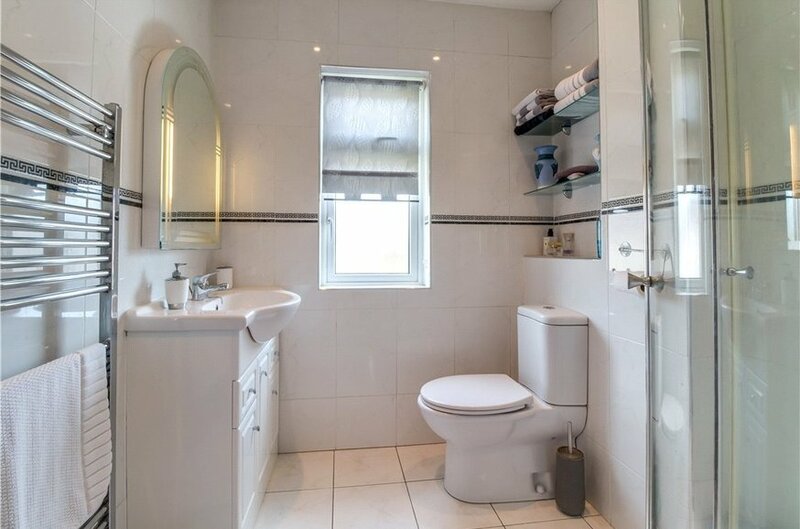 Bright and inviting, tiled floors. Front facing room with a large window overlooking the garden, coving and centre rose. 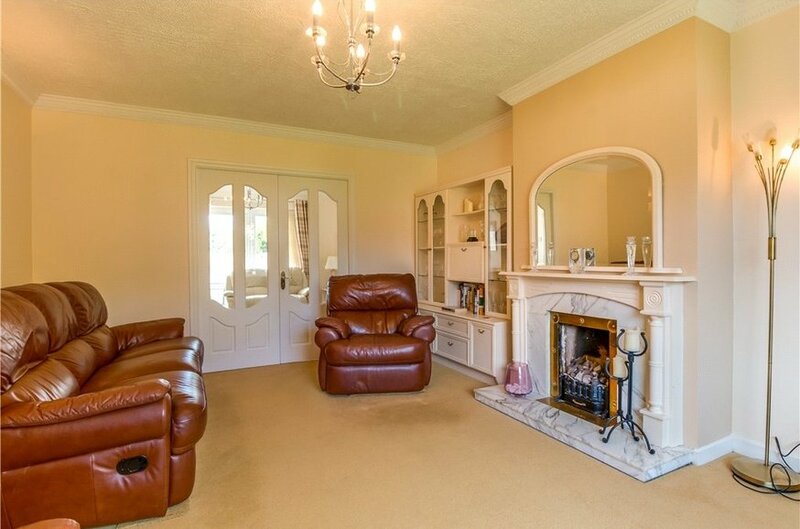 Feature fireplace with gas fire fitted, double doors to lounge, fully carpeted. 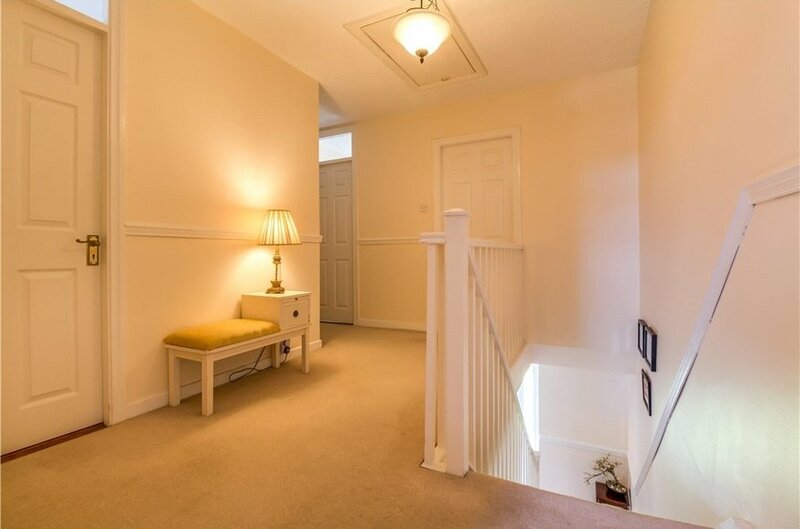 Bright and inviting room to the rear of house. A wall mounted electric fire provides a focal point with double doors leading to patio and lawned garden beyone, centre rose and fully carpeted. 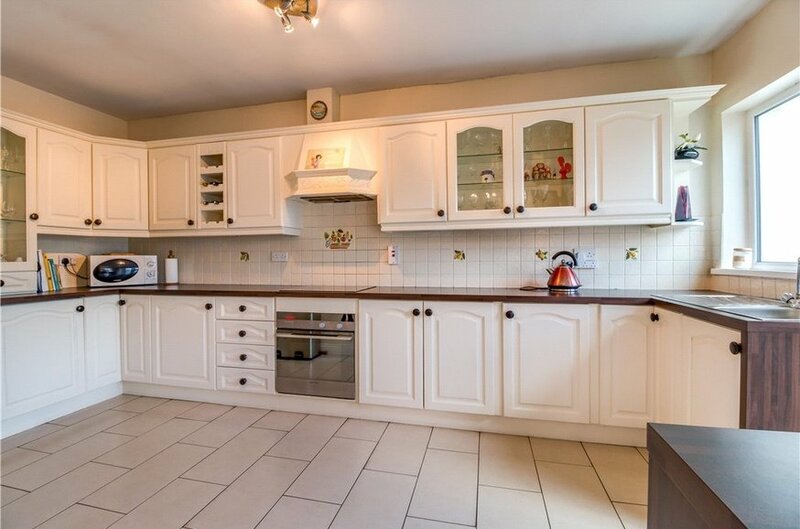 A spacious open plan fully fitted kitchen with floor and eye level units to include display presses. Fitted appliances to include integrated Fischer & Pykel oven, hob, extractor and refridgerator. Door leading to sun room, tiled floor. 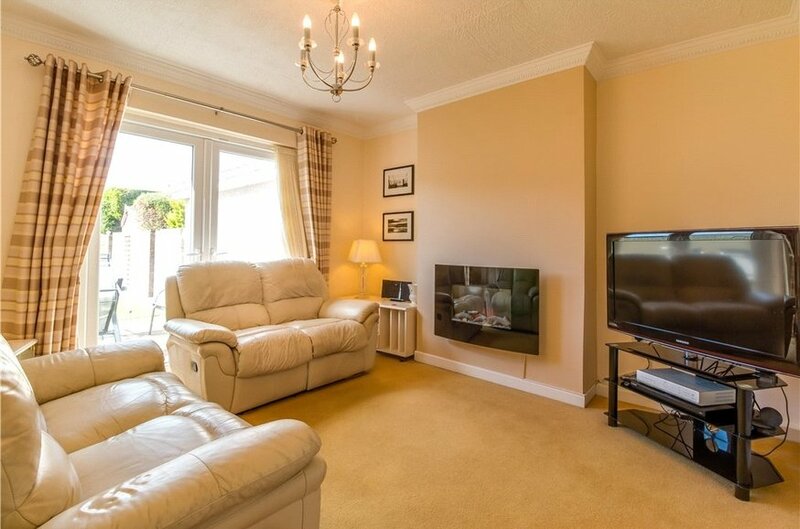 Open plan and very bright with double doors leading to patio. Tiled floor. Fine sized room with sliding door to front of house, carpeted and suitable for a number of functions. Timber flooring with worktop. Plumbed for washing machine and dryer. 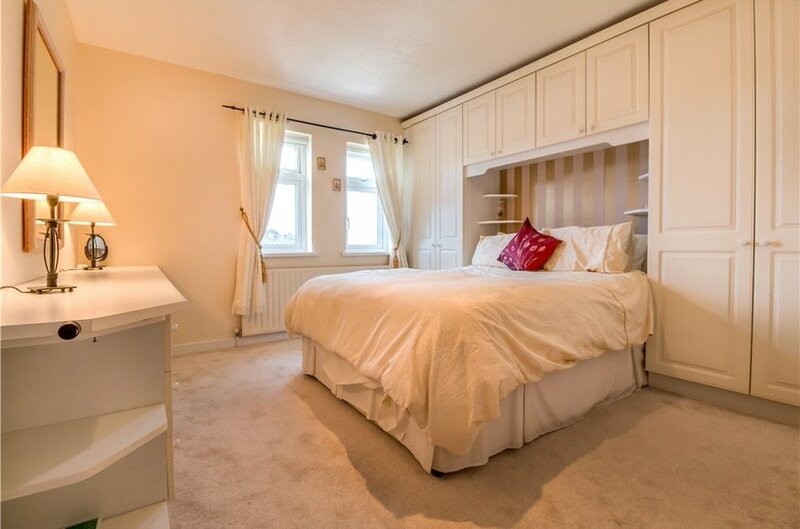 Double bedroom to the front of house with built in wardrobes and vanity unit. Carpet. 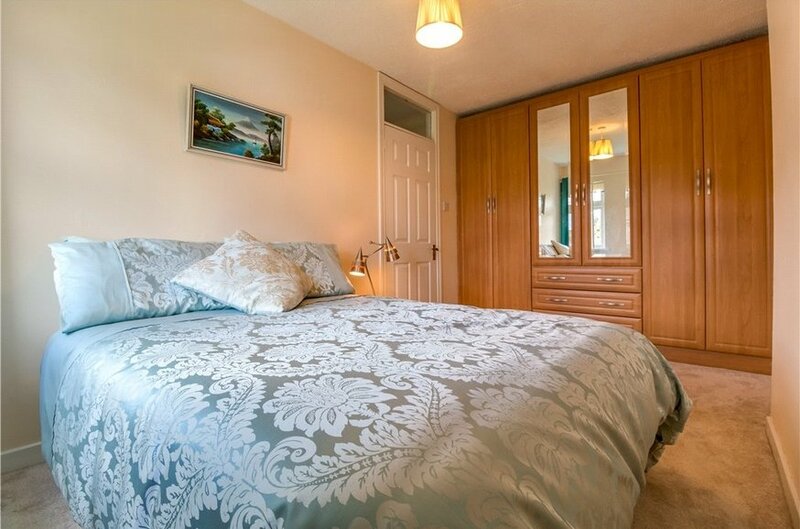 A very spacious double bedroom to the rear of the house with extensive amount of built in wardrobe and carpeted. 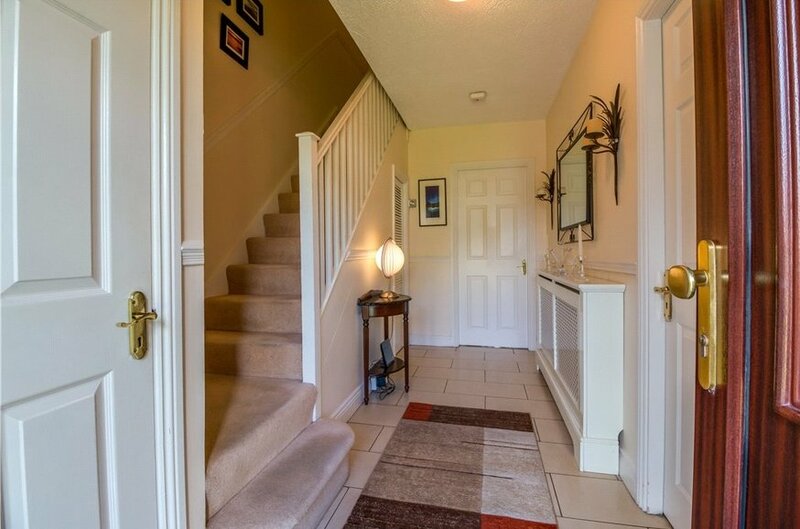 Exceptionally spacious landing with dado rail and carpet. Pull down stira to attic. Three piece suite with corner entry shower cubicle with electric shower overhead. Heated towel rail. Fully tiled floor to ceiling. 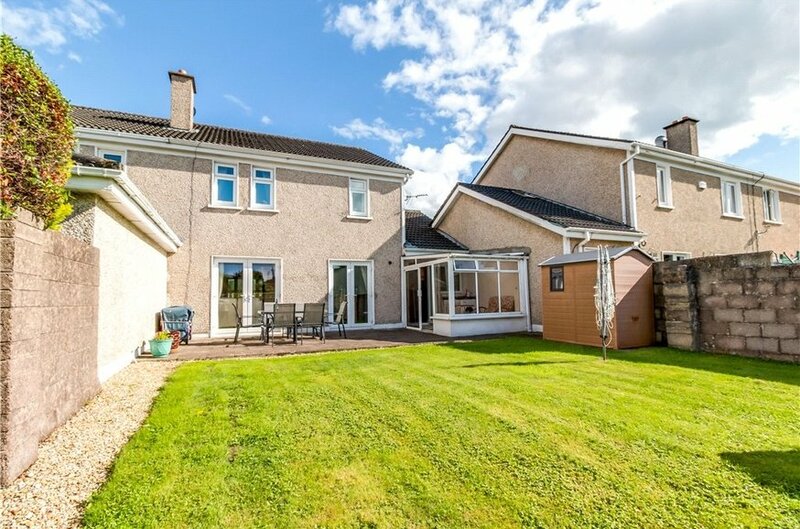 This home boasts a large, beautifully laid out, well-tended and enclosed rear garden with attractive patio. 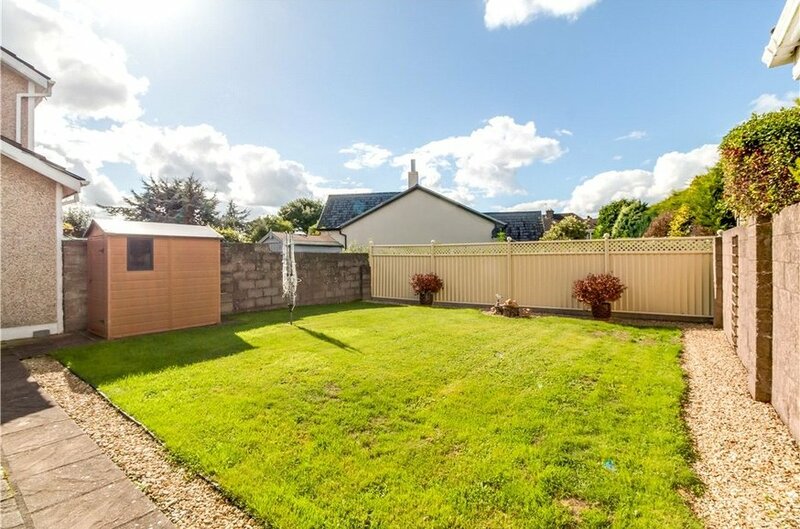 The west facing nature of the rear garden ensures the property makes the most out of the evening sun and its beautiful landscaping and planting makes it an oasis in the city. 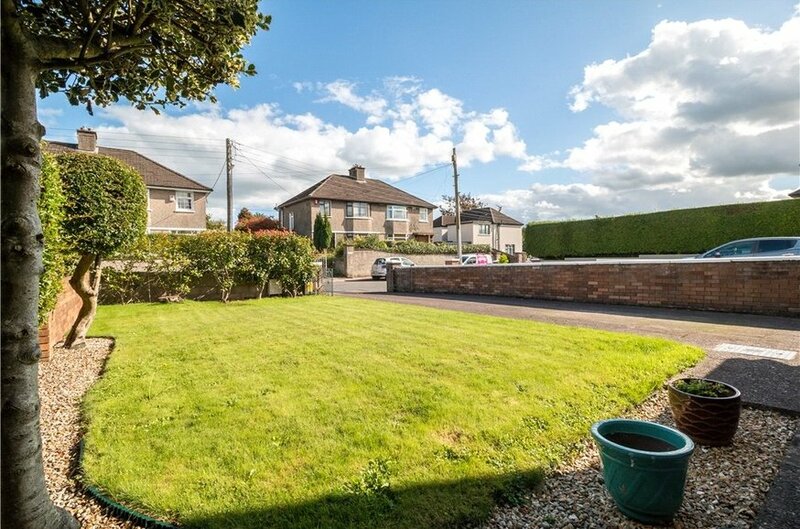 The front garden has a driveway and lawn that is once again, well laid out and very attractive.